Are electric buses news? Not if you live in Shenzhen, China, which has converted its entire fleet of buses — more than 16,000 in all — to electrics. They are also now appearing in lesser numbers on the streets of London, Katowice, Brasilia, and Jerusalem, among many other cities. What is news, though, is that more and more cities are getting involved in the electric bus revolution. Last week, Proterra announced Hawaiian tour operator JTB Hawaii has agreed to purchase 3 of its Catalyst E2 electric buses to replace 4 diesel-powered buses in use today. It will also install two 60 kW chargers supplied by Proterra. The company provides tours for more than 1.5 million people throughout the islands each year. During the expected 12 year life span of the new electric buses, more than 8 million pounds of carbon emissions will be eliminated. 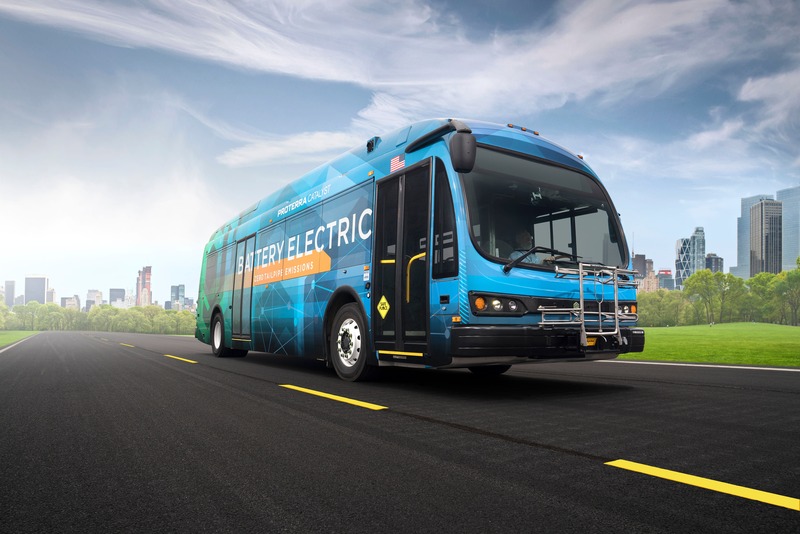 Proterra also announced last week that the Port Authority of New York and New Jersey has agreed to add 18 more electric buses to its existing fleet of electrics. They will be used to shuttle passengers between the area’s three major airports — JFK, LaGuardi, and Newark. The 18 buses will prevent nearly 50 million pounds of carbon dioxide emissions from escaping into the local atmosphere during their lifespan and save over 2 million gallons of diesel fuel. The purchase price of the buses will be offset in part by rebates offered through the New York Truck Voucher Incentive Program, which supports Governor Andrew M. Cuomo’s ambitious clean energy goals to reduce greenhouse gas emissions 40% by 2030. Tallinna Linnatranspordi (TLT), the municipal transport company of the Estonian capital Tallinn, plans to switch completely to electric mobility by 2035, which will entail the purchase of up to 700 electric buses. A 10-bus test fleet is expected to begin operating in the city this year as the company explores the best routes and charging options for its new fleet of zero emissions vehicles. According to Electrive, TLT has signed an agreement with state owned energy supplier Eesti Energia to create the charging infrastructure that will be needed to support that growing electric bus fleet. There is no word on who the manufacturer of the electric buses will be.